I spent five whole hours crocheting this baby blanket for a friend of mine. I folded it nicely and laid it out perfectly to take a photo. When I went to finish the edging of the blanket I about had a heart attack. 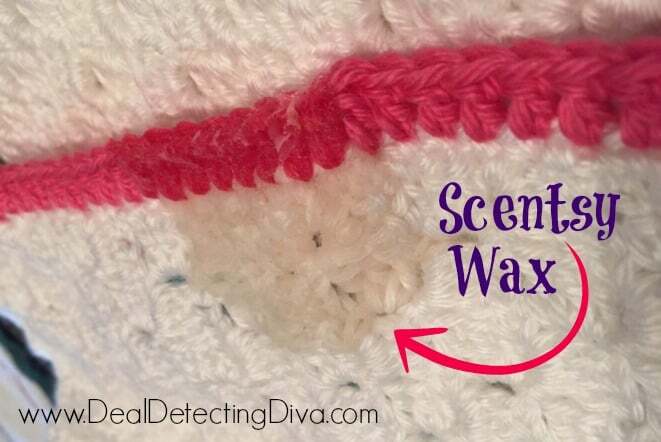 I had DIPPED the edge of the blanket in Scentsy wax!! Oh… I was SO MAD at myself when I noticed what I did. Just about made me sick to my stomach – thankfully it was a clear wax, not green or red. But still. It was hard as a rock and I was mad. I’ve heard the newspaper and a clothes iron trick, but I didn’t want any of the ink from the newspaper to transfer – if it would, and I wasn’t about to try it – so I decided to boil it instead. Yep, I poured boiling water right on it. Came RIGHT out – if just a tad stiff after cooling and drying. I boiled the water, and had a helper hold the blanket over the sink. Pouring slowly, I made sure to focus on the wax-filled portion of the blanket. I didn’t have enough water at first, so I went and boiled another pot. Repeated the process, let the blanket cool, then washed the next morning. 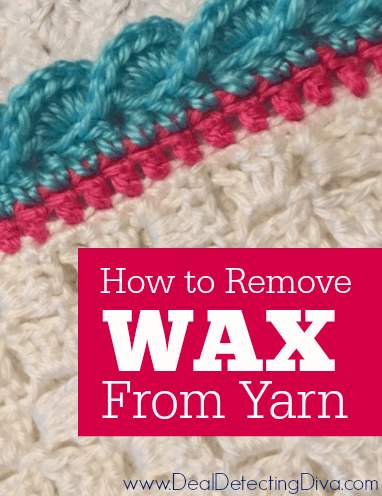 The part of the blanket that had the wax soaked in was a little stiff to the touch after washing – but MILES better than before! It was completely stiff and unusable – completely unmanageable before pouring the boiling water over it. I couldn’t have finished the edging if I had tried! I would have boiled more water – a FULL pot – so that I didn’t have to do it twice. Although that really wasn’t that big of a deal. I would NOT have had a helper hold it over the sink. I would have cleaned the sink thoroughly and laid the blanket straight in the sink instead. Having my helper hold the blanket stretched the stitching out a bit and it is still not 100% back to normal. I’m assuming this stretching was a result of both the tight hold he had on the blanket as I was pouring, and the boiling water as it poured through the stretched fabric of the blanket. Overall I am happy with the result! I feel comfortable giving it to my girlfriend, instead of chucking it in the trash. 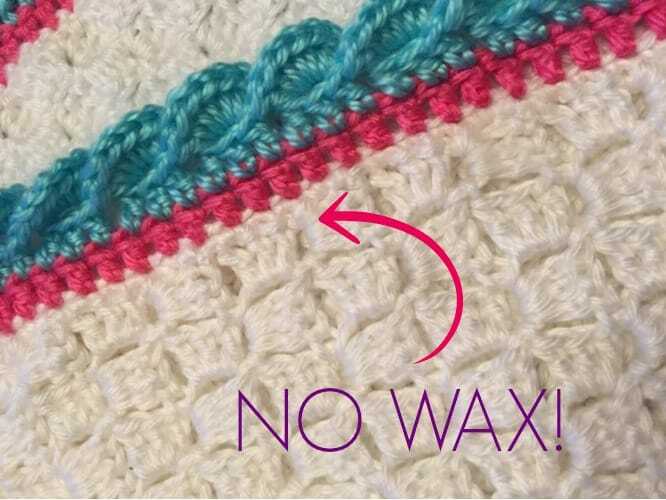 If you’re wondering about the edging I used, you can see my tutorial for the reverse shell stitch right over here. I saw this blanket and thought it looked like the perfect gift for a friend of mine. 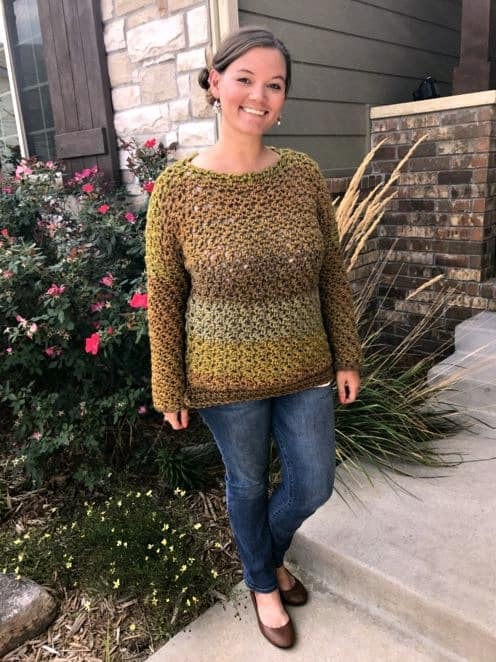 I was wondering if you would mind sharing what type of yarn and hook you used. Thank you! Hello! This was made with Caron Simply Soft in White and Pink. Just a simple Corner to Corner but I love the look so much! 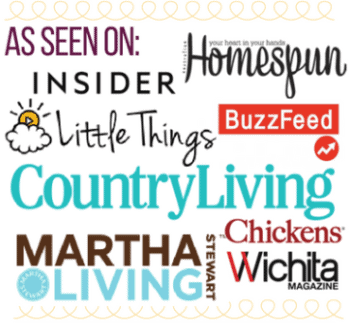 Thank you for the response! I hope mine will turn out as well as yours. I have never tried using boiling water but I have used the iron trick successfully. I did not use newspaper, but rather a clean whire wash cloth. I simply put the wash cloth over the waxy area, put the iron on high and ironed over the waxy spot. Each time the cloth absorbed some of the wax, I switched to a new, clean, dry section of the cloth until it was all gone. I hear that you can freeze bubble gum and then smash it to get it out of clothing. Maybe freezing it would have helped too.